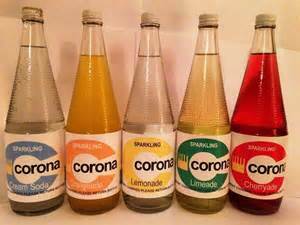 When I was a boy in the 1950's, I took great pleasure from collecting empty pop and milk bottles and returning them to the local shop and to the milkman, to recoup the 2d deposit on the bottle. Many an idle hour was devoured searching out used Corona bottles or Davenport's beer containers and collecting the cash they returned. I was reminded of this episode in my life most recently on a trip to visit my Swedish friends, Carina and Ragnar, in Stockholm. 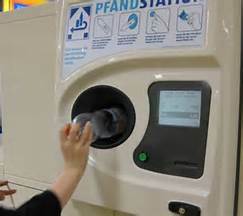 It is a weekly chore for Ragnar to return their empty plastic bottles to the local supermarket, where once pushed through a hole in the wall, the cash machine gives up a couple of Krona for each receptacle falling into the skip at the rear of the store. Queues of Swedish youngsters join the daily queue of shoppers recycling bottles for money. I gather it's the same across other European countries, so why not in the UK? Billions of plastic drinks bottles are being dumped onto our streets, in our hedgerows, and parks and across our 'green and pleasant' land. Every week my local 'litter pick' finds bottles of all shapes and sizes lurking in noticeable places. No wonder Britain has failed to hit its recycling targets! 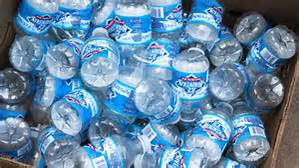 Government targets should have seen about three-quarters of plastic bottles recycled by this year. But the actual figure, based on council rubbish and bin collections, is less than 60%. This means that 15 million plastic bottles a day are dumped on our streets, beaches and in our countryside after being used only once. An average household uses 500 plastic bottles a year, but recycles only about half. Millions of bottles blight our landscape and threatening wildlife, while those plastics that go into normal bins are buried in landfill dumps and take 450 years to degrade. We need a deposit refund system like most other European countries! Unsurprisingly, the idea has been rejected by the British Soft Drinks Association, which claims it would not reduce litter. How can they wash their hands of their responsibility for churning out millions of plastic bottles? They have a responsibility, like the rest of us, for reducing their plastic footprint. There is no doubt that deposit-refund schemes work, as I have seen in Sweden. They've increased collection rates of drinks containers to over 98%. So we could do the same. Look how the plastic bag charges have reduced littering! A refund scheme for plastic bottles has to be the next step. Meanwhile, Defra, the UK Government's environmental agency, says that there are 'no plans' for a bottle deposit scheme as Britain was beating EU targets on plastic recycling. MPs are looking at a new UK litter strategy to tackle the blight caused by plastic bottles, but I doubt this will include a deposit scheme. There is no doubt that the charges made on consumers for plastic bags has had success and shown emphatically that the British people will get behind these schemes. 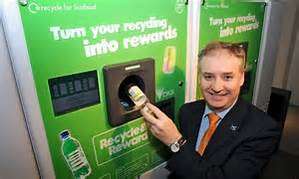 So why doesn't one drinks manufacturer take the bold step of introducing a plastic bottle deposit-refund scheme. Others will soon follow! WHAT A WASTE OF FOOD!